The bicycle has been a favorite form of transportation for around two centuries, and every generation adds its own advances and accessories to the time-tested design. Living in the technology age as we do today, bike-related advances abound. 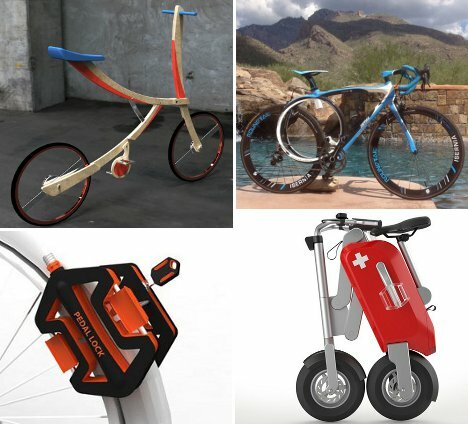 These 10 concepts use high technology, advanced design skills, and plain old common sense to create some truly useful and beautiful bikes and bike-related accessories. Folding bikes are perfect for people who ride to work or school and then need to stash the bike somewhere during the day. They fold up into very small sizes, but they aren’t always easy to carry around or to fit under a desk or into a coat closet. The Odachi Folding Bike concept from design student Nick Domanski makes it a bit easier – and a lot more attractive – to carry around a folded bike. When in its smallest form, the Odachi bike can be either pulled along behind the rider or strapped onto the back like a samurai sword. 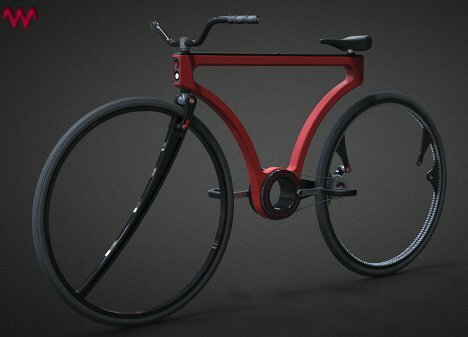 Although the chain and brakes do not appear in the rendered images, the Odachi bike would work just like any other bike. The Twist bike doesn’t strive to break down into the smallest package possible; instead, it wants to expand. 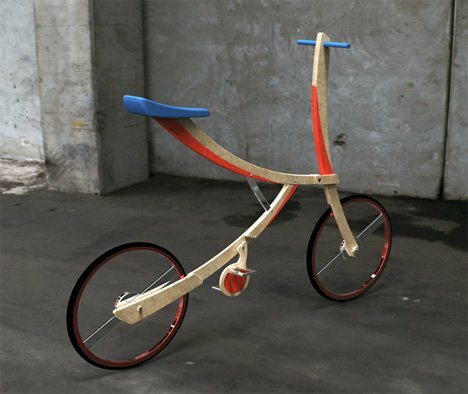 The concept from designer Jose Hurtado features a symmetrical frame and hubless wheels, one of which can connect to another frame to form a tandem bike. The freedom to ride single or double on this modern bike makes it an unusual but stylish choice for biking enthusiasts. The Roundtail is a truly world-changing modification to the typical bike frame. 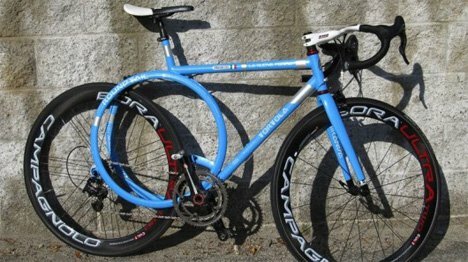 Rather than the familiar triangular frame configuration which is full of straight lines, the Roundtail features a frame with a circle in the center. 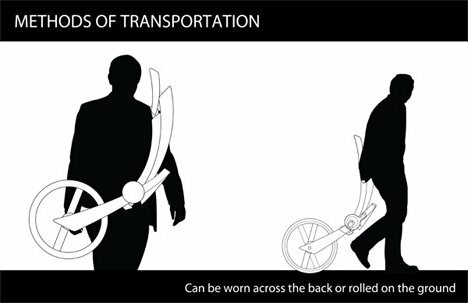 This circular frame acts as a sort of shock absorber, making riding a bike far less painful for cycling enthusiasts. 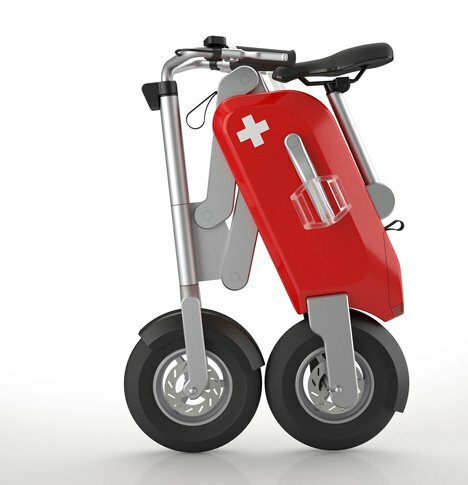 The Voltitude V1 was invented by a Swiss father and son design team who took their inspiration from Swiss Army knives and from scooters. The folding electric bike features wide wheels to get it over the urban terrain, electric assisted pedaling and a silent, zero-emission ride. But the most notable feature of the Voltitude V1 is its ability to fold up like the famous Swiss Army knife into a small package – small enough to be stowed in a trunk or closet. Can a bike really change the world? The Greencycle may do just that. 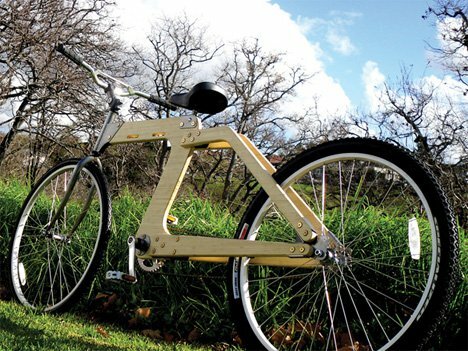 The lightweight but tough bicycle is built of sustainable, affordable bamboo and metal joining brackets. The bike is modular and all parts of it can be easily replaced in the event of breakage. 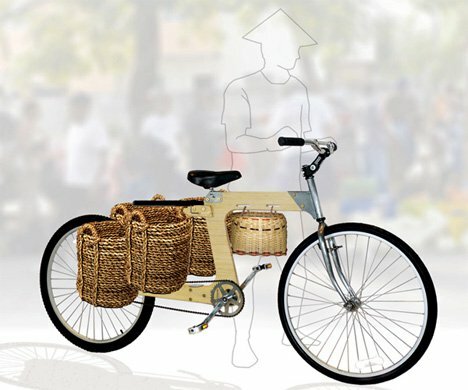 Meant for third-world countries where bikes are the most efficient and sensible means of transportation for vendors and farmers, the Greencycle also features built-in attachment points and platforms for heavy cargo. 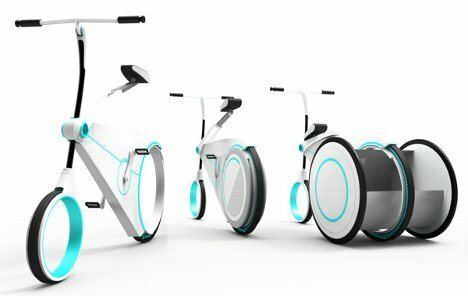 The Smart City Cycle from designer Yo-Hwan Kim takes a novel approach to the concept of the cargo bike. Rather than adding a shelf or hook to the bike’s frame, the designer simply integrated a cargo compartment into the rear wheel. A regular hubless wheel takes the rider to and from work or school every day, but on those days when a stop at the grocery store is necessary a cargo wheel can be fitted to the back of the bike. 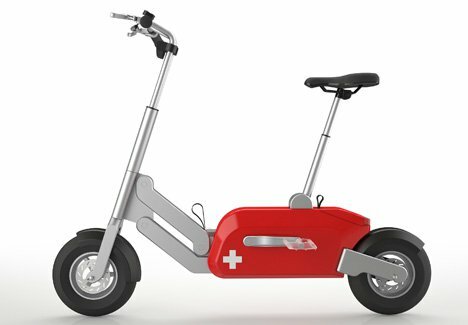 The cargo wheel holds a load securely in place while increasing the bike’s wheel base to create a stable ride. Minimizing the stuff you carry – and thus the weight of your cargo – is important for making the most of your bike ride. But there are some essentials that you need to have for longer rides, including a pump to reinflate tires. 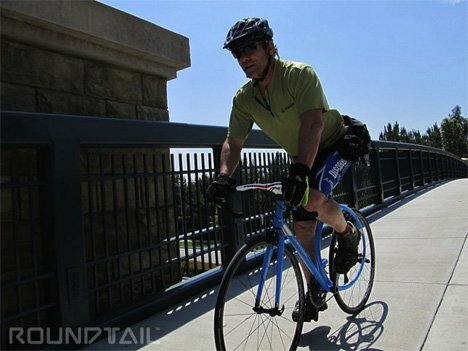 BioLogic’s clever PostPump 2.0 Seatpost is a bike pump built into a bicycle seatpost. 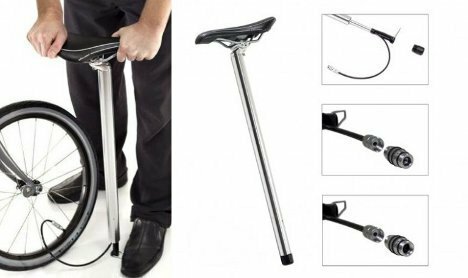 When you need to inflate a tire, the pump easily detaches from the bike’s frame and the seat acts as a handle. Of course, a bike tire pump would not be necessary if the cycling world adopts the incredible Energy Return Wheel (ERW). This airless tire features a honeycomb layer of rubber where the air would normally be in a standard tire. As the ERW rides over obstacles and rough terrain in the road, the energy from those little impacts is turned into forward propulsion. 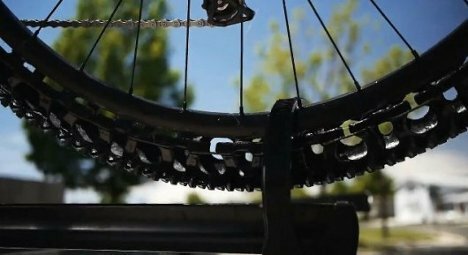 This helps the rider move along with less effort – and as an added bonus, there is no need to ever worry about flat tires. 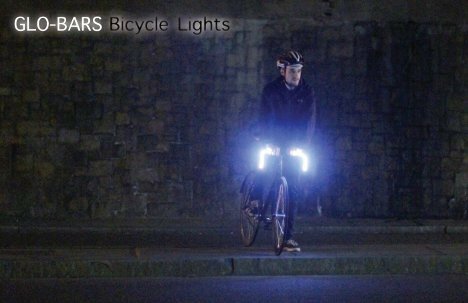 There are plenty of products meant to keep cyclists safe in the dark, but the Globars are a smart twist on the subject. 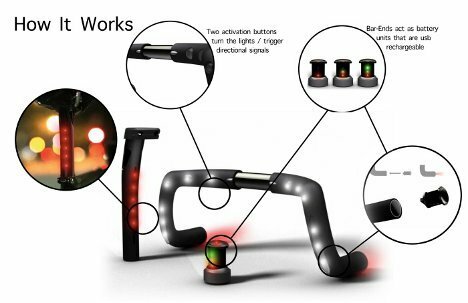 The handlebars are lit up brightly with LEDs and function as safety lights, headlights and turn signals all in one. Because the turn signal buttons can be activated while the rider’s hands are still on the handlebars, these safety devices are truly safe. Keeping your bike safe while you aren’t on it is an important concern for any bike owner. 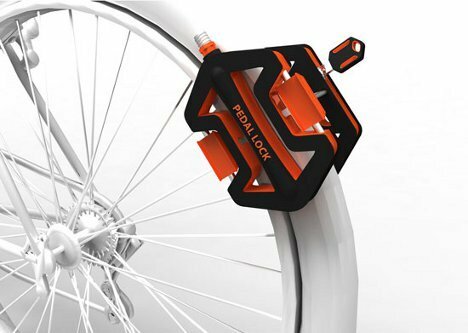 The Pedal Lock is a neat concept product that would use the bike’s own pedals as security devices. 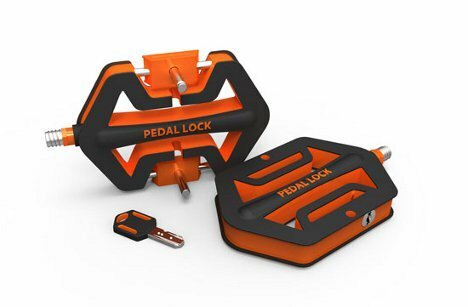 You don’t have to carry a heavy lock around because it’s built right into your pedals, and thieves who try to simply take off the tire to steal your bike from the rack wouldn’t be able to ride it away thanks to the missing pedals.